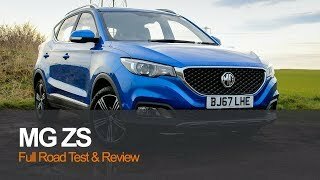 The MG ZS our first drive and review of the 1.5 petrol manual exclusive edition, soft touch material, stitched leather options and lots of gloss. 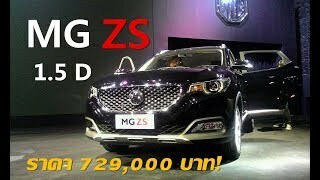 Packed with plenty of kit, a 7 year warranty and a price much cheaper than its rivals, MG have got a winner when it comes to this cross over. Great review guys, just wondering what editing tools do you guys use? 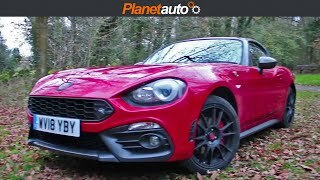 Planet Auto Brilliant thanks, this is actually my kids Channel, I didn’t realise when I wrote on here 😂 but I use Splice at the mo for their vids, but it’s very limited. I’ll look forward to the Auto review, I’ll subscribe so I don’t miss it. Many thanks for the reply. We are literally working on finishing the ZS Auto this minute should be released later or tomorrow, the Auto is very good. We use Final Cut & Adobe Premiere. It’s strange the push button start isn’t in the UK, we’ll see if we can find out, thank you. Why do u all talk soooo loud ... lol . Why has no android ? Sorry guy's , it was meant as sarcasm . It's very low volume . zim ben good quality RODE mic means loud clear sound, as for Android I don't know maybe newer models will come equipped with it. You ask what more do I want at 06:06 and I can tell you right now that I would want Android Auto and two-way steering wheel adjustment, i.e. tilt AND telescope! Not everyone owns (or wants to own) an iPhone (32%) so pretty much the rest of the world has an Android phone (48.5%) but why have MG not bothered with Android Auto? Do they get a kick-back from Apple? In addition, at 6ft 3in I find it's okay to move the seat back far enough to be comfortable with the pedals but my arms are not as long as my legs and if I can't pull the steering wheel towards me then it's a constant uncomfortable stretch. 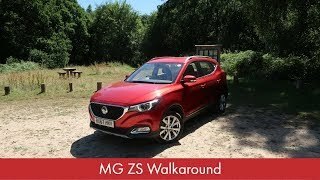 Ray Jennings well we get the ZS for a week very soon, in the next review we’ll be putting the vehicle through it paces, rather than driving it for 90mins, money wise and what you get is great value, longevity is where we’re interested to see how it fairs. With modern cars being so good nowadays this will only get a 'meh' review by any of the premium car reviewers. Chinese, good spec, so so engines. Although if I drove this along side my old ZS/ZR it will be miles ahead. New cars are probably too good nowadays! 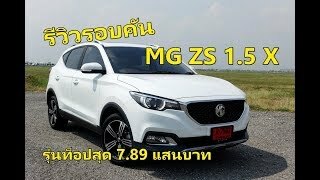 Yes it's quite a nice looking SUV for the money and should do well especially with a 7 year 80K warranty if MG stays the course. As for the video its spoiled by the kid who looks fresh out of school and obviously has no knowledge about cars and the lady with the long sleeved jumper lol, it all comes across as very tacky and amature. Would I buy one..... not sure one thing is at those prices and long warranty its impossible to lose too much money, I wish it had slightly more powerful engines a diesel and a 4 wheel drive option. 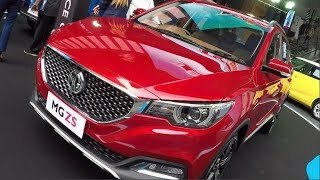 Laurence Harvey it's very impressive for the price, and it's the market that will allow the brand to grow, however if your after sporty cars, big powerful saloons, you may have to wait till MG has built up a little more. 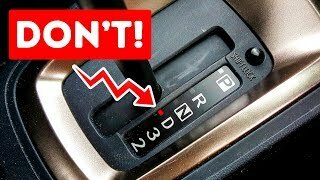 At 1:36 "diesel turbo" is mentioned - it's not a diesel, it's a petrol engine in both 1.0 and 1.5 engines! Ian Trevena you've certainly got bat like hearing, we missed that - the ZS certainly isn't diesel, the 1 litre turbo petrol is the GM one. Derek Porter Thank you for the support we really appreciate it! It’s a shame the amount of negativity this car receives, people are very quick to judge without trying it for themselves. Derek Porter I'm afraid I don't have the time, but please see the Car Wow and HR in a Car channels for examples of how it should be done. Perhaps Mr Hesketh might like to a do a review of a car of his choice and we can see how he comes across! 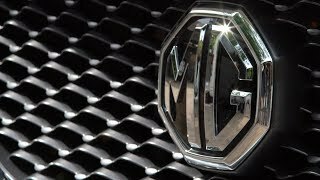 Have you driven the car or intend to drive it or even purchase a new era MG? Why is there no central arm rest storage console like the GS???? Derek Porter they do, they’re punchy, fun and great value. I am afraid that goes for the MG3 too. 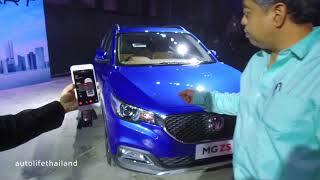 People who have not even so much as sat in an MG3, let alone driven one, dismiss it as Chinese rubbish. Nothing could be further from the truth. I am on my third and they get better with each update. We completely agree with you! People are very quick to be dismissive over this car. It looks to me, like you've done your research on this car, so kudos to you guys. I'm just getting started on the car review scene and I'm taking a spin in a Ginetta next week. I'm wondering, if you're available and up for it, if you'd like to come along for the day? I'll be playing with the car... *Ahem* I mean DRIVING the car at Silverstone. We have a Tesla that day, the Model S if memory serves, race ya. 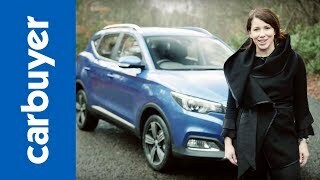 The opinions which have been expressed in this video are in comparison to cars in a similar price bracket (Dacia Duster & Ford EcoSport Zetec etc). We shall be conducting a full review in the next few months, once the car has been throughly tested we shall then address any down falls of the ZS. 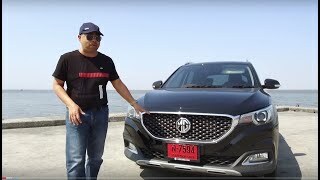 Our opinions which we have expressed in this video are our own and unfortunately we are not yet on MG's payroll, we were genuinely impressed with the car in the short time in which we got to drive it. Not a 'stitch' of leather anywhere in this car and you know that to be the case. Whats the deal? three people sit in the car to make sure they say all the good things that the MG press guys have slipped them some notes for? Weirdest test drive ever watched. Prissy and on my high-horse? The 3 is the same car as it was in 2014 - as an actual owner of one I feel free to comment, having also seen the new ZS I too feel able to comment, just as these guys have commented. You will also see I replied to them and acknowledged I applaud their efforts - I don;t have to agree with them. These are merely my opinions, I'm not really getting your opinion as you haven't bothered to offer a counter opinion on the car just the mere fact that I expressed mine - odd. I got that from the video. I also got that you're a group of car enthusiasts who enjoy driving. More power to your elbows keep it fun! We found the MG3 to be good for the money - punchy, if you were willing to drive it at high revs it performed, hardly and an eco approach, very fun though throwing it round the back lanes. 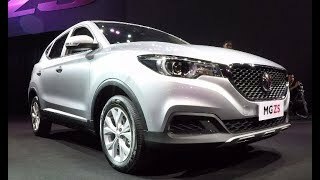 So you have an issue with a car from 2014 and now, anyone that shows a liking for MG, you have to get all prissy and on your high-horse? Get over yourself. That's an unprofessional and offensive comment right there. Accusing an enthusiastic and independent review team of taking money in exchange for a good review? 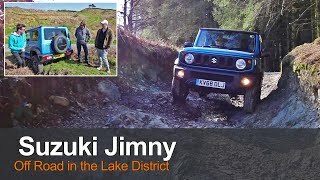 I think Jim should take another look at his comments in the cold light of day just in case MG and the Planet Auto guys decide to take the comments further. Do like Thumper's mommy advised, "If you can't say something nice, don't say nothin' at all." If you don't like a review, walk on by. Hardly surprising as I understand that SAIC have a major stake in VW China and also in GM. That steering wheel would certainly be a lot more on a Golf and don't forget the GM 1L Turbo. Full marks for your enthusiasm! 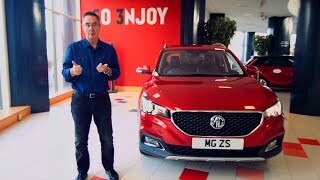 We’re used to video reviews of MG’s latest offerings being presented by folk who often can’t contain their scepticism about the brand and its new owners. 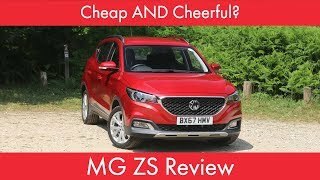 If anything though, this review goes too far the other way as it appears all three of you have swallowed MG’s launch press pack whole and regurgitated it throughout the video for over 10mins. It gets almost sycophantic at some points and there’s accuracy issues with some of your content (e.g. the seats & dash aren’t leather). The interaction between you all is a bit cringe - one singer one song is good advice, and it would be good if the men would stop talking over the woman (and why didn’t she get a shot at driving?). 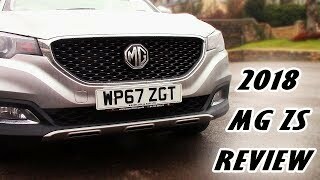 Having said all that, you guys are the first to get a UK video review up from the launch, and for those of us hungry for all things MG, we thank you! Anthony McGowan we thank you for subscribing and we need this type of feedback. 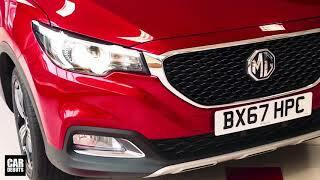 Do drive it, and come back and tell us your experience, both models if possible. Well, it certainly couldn't have been that bad a review cause you have yourselves a new subscriber ;-) The observations above are yours to take on board or not. And full credit to you all for putting yourselves out there and giving it a go. I've not driven the ZS yet, but I've been up close & personal twice at my local dealer. The looks are growing on me - casual commentary is that it's perhaps a bit too generic, but there's no doubt in my mind the car is much better looking in the metal than in photos. I think overall, the space & kit for the price is fantastic, and I sincerely hope it sells well. Thank you for your candid compliment sandwich, Anthony McGowan interesting take, firstly Annabelle chooses not to drive currently and we spoke as we saw fit. As for swallowing the launch pack, we had this reaction at LMS - if we can’t be passionate about MG’s in their word ‘best car yet’ when can you. The press pack was a great touch, however the only things we didn’t know about were the warranty and 1l Auto. We’ve been waiting for this for a long time and we are impressed that it’s delivered on everything it said would. If that’s cringeworthy, so be it - we love and want some as our support vehicles. The Faux leather is impressive, a better option than real, considering opinions. What exactly do you like about the car, you haven’t actually said? 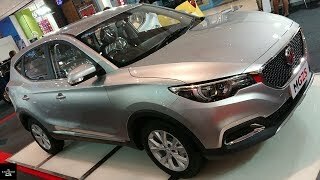 Planet auto team very impressed with this car👍 Why the model name change, Xs to Zs? Because they really wanted to confuse people. Now they have to specify weather it's the new or old ZS. To be honest, I prefer the old sport saloon. Miles Drive it was a legal issue about aligning the name with the models released in the rest of the world, truly is very impressive for the money. We can't wait to get it on a long haul drive to really get to know the car. That's good to know. Look forward to further reviews on the ZS. Ah, we had the chance to drive the 1.5 and 1l turbo straight after each other, the auto on the 1l was seamless and the 1.5 was very capable, tech and practicality is amazing - glad you got to experience it, can't wait to do a 7 day review on it. It's very good, as is the 1L Auto enough power, and responsive, both very well made, exceptionally good value.